Everything you need to manage your clubs and sell online. Partnered with Revel Systems, the #1 rated iPad Point of Sale. Vines OS is a cloud-based, direct-to-consumer solution for wineries, wine bars, wine stores, breweries and distilleries. Intuitive and easy to use, Vines OS gives you the tools you need to run your clubs, sell wine online, book events or tastings and keep your website updated. Fully integrated with the #1 rated POS platform, Revel Systems, you get a powerful 360-degree view of your customers. Manage multiple wine clubs and set member discounts with tiered levels. Convert buyers to members as they buy your wine online. 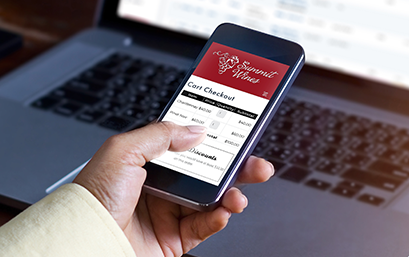 When it’s time to issue a club release, batch process the orders, print shipping labels and manage shipments and pickups. Filter to find your most loyal members and blast out an email campaign. You can manage even the smallest detail, from state and age compliance to label printing. Quickly add new wines and configure multi-tiered member or case discounts. Our streamlined cart checkout shows your members their appropriate discounts, and encourages customers to upgrade into a club with just a click. Revel is the #1 rated, fastest and most feature-rich iPad-based POS platform on the market. 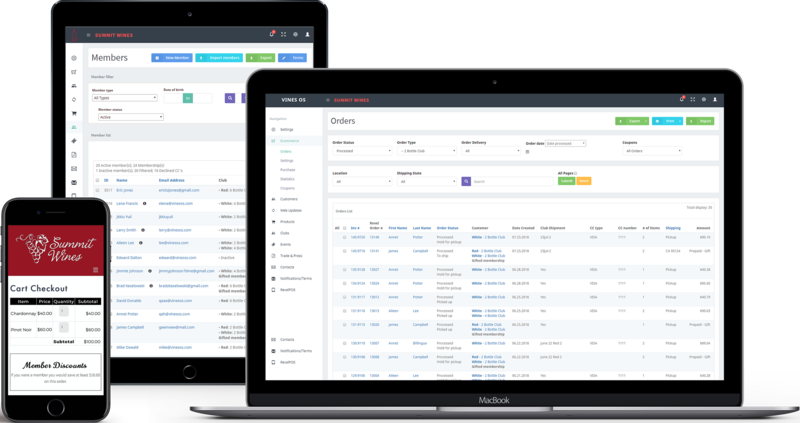 We have a real-time two-way sync of customers, members, orders, products, inventory and discounts. Club orders go in real time to the iPad so when your members come in to pickup, the order is there and the pickup status syncs back. Everything you need to let members join online. 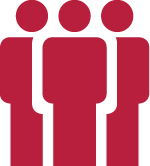 Create member discounts, batch process wine club orders, and manage state compliance. Print labels and track orders through fulfillment. Let members customize their club orders. Grow your clubs with Gift club options. 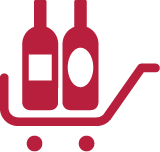 With our easy-to-use wine e-commerce tools, you can manage every little detail. Easily add new wines, manage compliance, and configure multi-tiered club discounts. Our streamlined cart checkout is designed to increase online orders, and also get more club sign-ups. Our integration seamlessly and automatically synchronizes customers and members, in both directions. Orders and products also sync bilaterally on both Revel and Vines OS. Flexible settings for inventory management with support for multiple locations. Let your customers make instant reservations for limited space private tastings. Schedule advanced bookings for recurring tastings or private events. Offer discounts to members, or promote member-only events as part of the membership incentive. See everything from total lifetime value, to favorite wines, to when customers last visited. Easily find your most loyal customers or members and create exclusive loyalty offers or coupons. Filter to see which members or customers purchased over a minimum amount of your previous vintage and offer them an early release. Choose one of our templates to build a modern, beautiful, responsive website. Simply select one of our designs, we do the rest. No complicated template system to figure out. Edit any page with new text, photos, or add new pages on your own at any time. Keep your site fresh and current, on your schedule. Vines OS is uniquely designed for wineries and wine bars, yet tailored to individual business needs. We bring a genuine “white-glove service” to clients, and can have you up and running in just a few weeks. 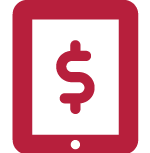 One time set up fee includes import or sync of members and products, site match, and all configurations. Vines OS is easy to learn and very user friendly. It’s a smart, comprehensive system and Jules and her team are top-notch! Their response time to problem solve is very quick and they are always eager to help their customers no matter how small the issue. They are always evolving and coming up with solutions to better an already awesome product. I highly recommend Vines OS for your winery program and can’t wait to see what they come up with next! The Vines OS team is prompt and professional, and we are very happy to work with them. Their integration with Revel Point of Sale is excellent, and has helped us manage and grow our direct-to-consumer sales.